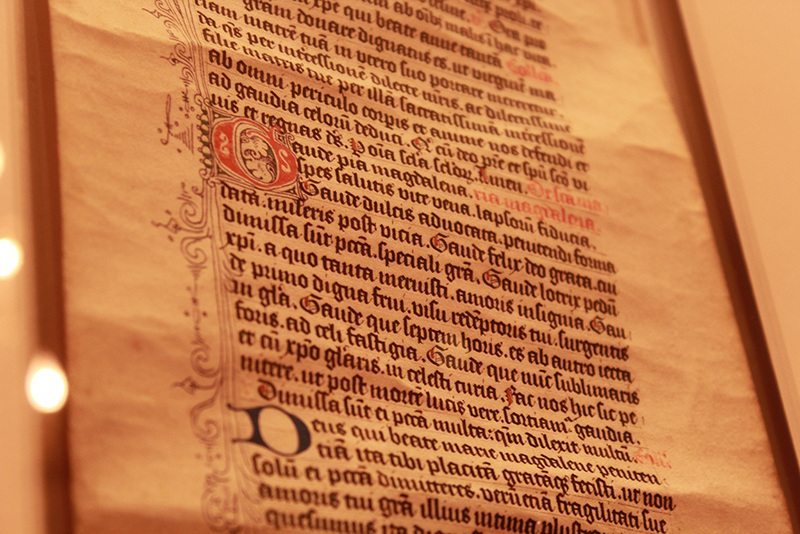 Welcome to the Medieval Scrolls Digital Archive. Our project contains several tools designed to provide resources for both researchers and those with more general interests. Visitors new to the subject of Medieval scrolls or who wish to explore these materials from a broad perspective are encouraged to start here. This section describes the nature of Medieval scrolls and the offers an in-depth look at several rolls from the Harvard University Collection. Users seeking detailed information on particular scrolls or groups of scrolls will find this database useful. Here, one may search across more than 700 scrolls in several ways. The Search Bar – searches each scroll record for any desired text including shelfmark, provenance, contents and physical description. Date Range – selections reveal scrolls created within a time period. Language – allows users to view scrolls by language of composition. Scroll Type – reveals those scrolls sharing function and format across time and provenance. Click here for a description of each scroll type. Repository – enables users to choose one or more repositories so as to view only rolls contained at specific institutions. Each of these search functions will display results on screen in the form of individual scroll records. Some information from each scroll record is displayed directly on the search results page, but clicking on any one scroll’s shelfmark will reveal further information. To return to the search results page, simply use your browser’s back function. Visiting this page will provide users with complete bibliographic entries for each of the bibliographic references found in the individual scroll records. These sources are arranged alphabetically by author’s surname. Hyperlinked letters at the top of the page allow for easier navigation to specific entries. Users are also encouraged to use their browser’s own search function to locate desired entries. It is our hope that these resources will enhance research in the field of Medieval Scrolls and encourage additional inquiries into these unique materials. Our aim is to make the Medieval Scrolls Digital Archive a comprehensive source for information on all extant Medieval Scrolls. (non-Western scrolls forthcoming!) Should you become aware of any rolls or information on rolls not contained within our database, or corrections to our information please contact us at contact@medievalscrolls.com.